The price includes 24€ of the annual maintenance fee. 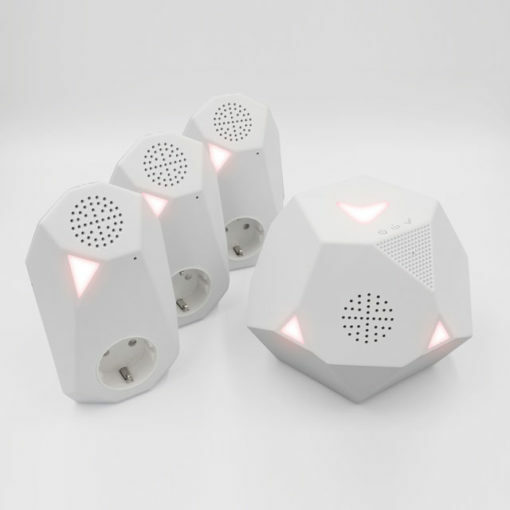 Detect the sounds of your home, transforming them into light and sensory alerts wich you can recognize in Visualfy Home system and the mobile devices of your choice. Also compatible with Philips Hue, Android Wear and Apple Watch bulbs. Includes: DSS Hub, 3 detectors, power adapter, network cable and new sound updates. 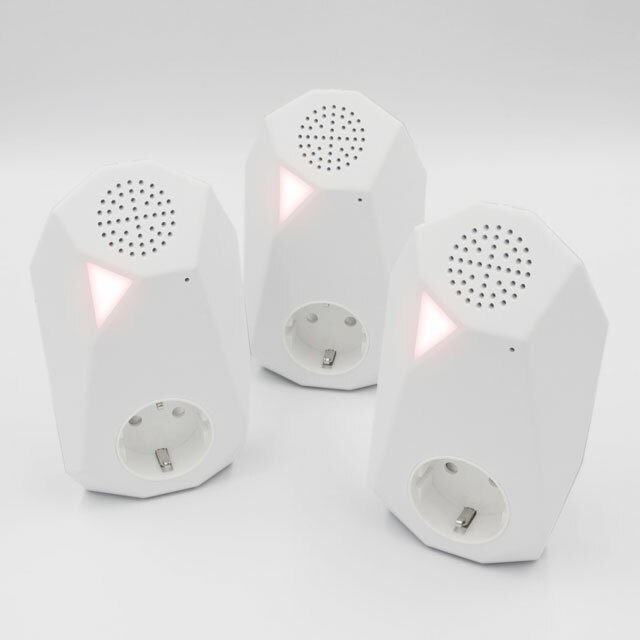 Configurable alerts: decide the color of the lights, the vibration or flash on your mobile. Notifications on your mobile with the sounds of your house. Currently available sounds: baby, kettle, bell, fire alarm, clock alarm, intercom and telephone. Constant sound update: coming soon phone, alarm clock, gas detector and smoke detector. Multiuser: invite your family to receive notifications. Compatible with Philips Hue: Illuminate your lamps when alerts sound. 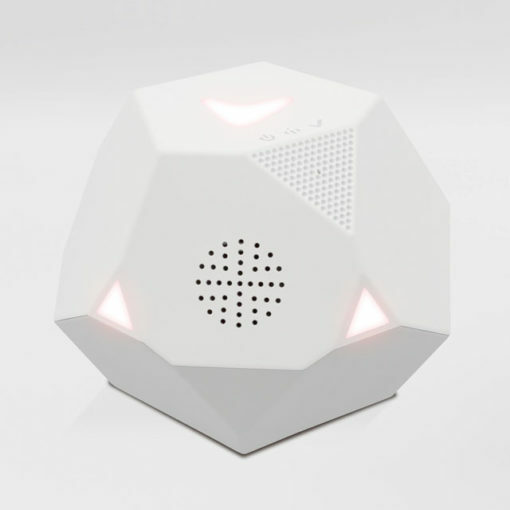 Visualfy Home comes with 8 initial sounds: baby, doorbell, intercom, fire alarm, gas alarm, alarm clock, telephone and kettle. These are the sounds you can enjoy for free in upcoming updates: dog barking, extractor hood and broken glass. The annual subscription to Visualfy Home guarantees the continuous improvement of our service, which includes future features and new sounds in a portfolio in continuous expansion. Our commitment is the constant and continuous improvement in your Visualfy Home. 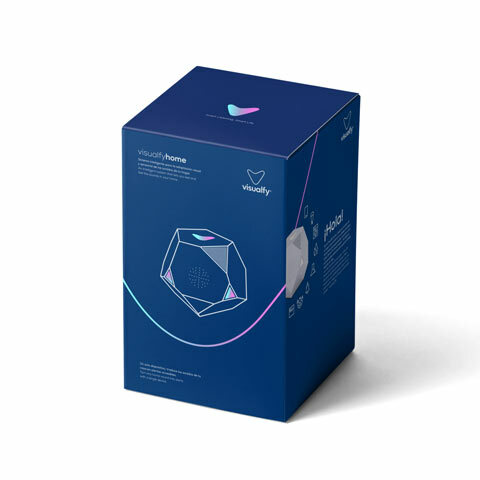 Visualfy Home recognizes the sounds of your home and converts them into light and vibration signals so you can identify them in the devices of your choice. AC Normal Consumption: 1 W.. Maximum AC Consumption: 3 W.
Relative humidity without condensation: 5 to 95%. Noise saturation level: 20-100 dB. Router with Ethernet port and Internet. Minimum internet speed 1 Mbps. Credit / debit card. Buy Visualfy Home 100% secure with the Caixa Popular payment gateway. Envío GRATIS 24-48 h. en días laborables. Recibirás un SMS antes de la entrega para coordinar la recogida.